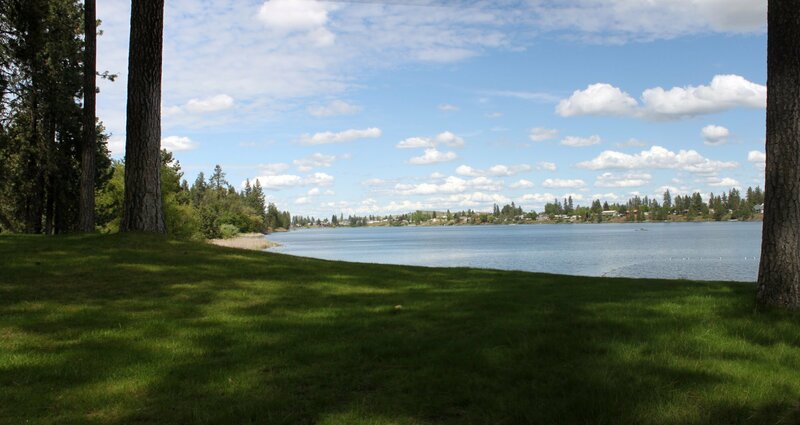 The Spokane people, a Native American tribe which had long inhabited the area, believed the water and mud of the lake to possess curative properties. White settlers such as Andrew Lefevre and Stanley Hallett, moving to the area in the 1870s, continued the belief, marketing the lake salts for medicinal uses. As of the census in 2010, there were 5,060 people, 1,707 households, and 1,169 families residing in the city. What's My Medical Lake Home Worth? 853' frontage on Silver Lake, 3 bedrooms on main floor, 3 bedrooms in basement, 2 bathrooms, 3812 sq ft ready for interior remodel! Beautiful lake views from 3 sides of the house, because the property is situated on a wonderful isolated point of land. 2 car detached garage and detached RV height shop. Approximately 1.74 acre lot, gazebo and beach house, nice level beach with dock, gorgeous views looking up and down both sides of the lake! Beautiful home on 3 acres. All hardwood floors thru out home. Granite counter tops. Great room and living room. All updated. No HOA's. Beautiful New Rancher w/3Bd, 2Bth, and over 1400 sq.ft. on one level. Open Great Room design, Quartz counter tops throughout, Stainless Steel Appliances, wood and tile flooring and a Master Suite w/double sinks & walk-in closet. Light and Bright cabinets and doors. There's a patio overlooking the fenced back yard. The oversized 3 car garage offers and extra deep third bay. Stay comfortable year round w/Gas forced air heat and Central A/C. This mid century beauty invites you to enjoy the four lakes within 5 minutes of this home. Maple, lilac, plum & cherry trees dot the landscape as you sit by the fire pit and take in the views from your back patio of Medical Lake. All one floor rancher living! Great for first time home buyer or rental for the West Plains with a fantastic school district. Running, walking, boating or fishing, this spot is for you! Please enter from back slider. Pride in ownership in the heart of downtown Medical Lake. Located 1 block from Medical Lake, 1 block from the famous Lefevre St Bakery, is this well maintained mid-century house for you to call home. Fenced backyard, large shop that can easily fit 3 cars or a car, craft, hobby setup of choice. Make this your destination to come check out this for great small town living. Comfortable, well-maintained double-wide on a large lot in Medical Lake. Fenced area for garden and back-yard enjoyment. Shop and storage with room for RV parking. Open kitchen/dining room/living room arrangement. Nice, large master bedroom and bath. Financing available through FHA and Conventional with low downpayment. Big city living got ya down? Come make the quaint community of Medical Lake your new home in this updated craftsman. This home was tastefully remodeled in 2016 down to the studs. The spacious living room and kitchen lead to a large deck, perfect for summer BBQ's. Transform the large garage into a workshop for your chosen hobbies. Close to schools, Fairchild AFB, and a short drive to Airway Heights, this home has much to offer. Lets go fishing. 12 x 50 Ft manufactured home on a 60 Ft circle. Wonderful view of Clear Lake from the front windows. This property comes with an extra guest trailer, storage shed, fishing boat, boat slip plus it's own well. The yearly dues of $400 cover the up keep of the common areas, park with shower facilities and beach. It's a great little getaway close to shopping, casinos, Amazon, and downtown Spokane. Listing agent is seller. Thanks for exploring our website today featuring Medical Lake homes for sale in 99022. Right here you'll discover all currently listed homes for sale, along with home and community specifics, Google street views, and so much more. We truly aim to provide you whatever you need to not only search for a property, but to make an intelligent decision on neighborhoods and communities based upon neighborhood services and schools. We know that you are not just purchasing a property, but a community and school system. If you have any concerns, be sure to let us know. To help with choosing a local Real estate professional, we have supplied a link to a list of the real estate agents on our staff. Making your property search a little simpler is our ultimate goal. To help with this, we have separated all the MLS listings into price points, so you'll be able to quickly see the homes that meet your price criteria. What Is My Medical Lake Home Actually Worth In The Spokane Real Estate Market? In case you are looking at selling your house, or just want to explore what your home might be actually worth, check out our "Selling My Home" resource below. This solution will permit you to simply see what residences are selling for in your neighborhood, but also let you see closed home prices as well. The easy to use program lets you see average selling price, days on market and much more. Give it a try right away and let us know if you might like an expert value review on your house by one of our neighborhood real estate professionals. Have you ever believed maybe you don't need a Broker? Many people are now relying on the web to begin their home search and don't necessarily engage a local real estate broker until they are ready to prepare a purchase agreement. Many home buyers think that they can maybe save money by working with the listing realtor and not involve a representative of their own. This is absolutely not a good way to approach purchasing one of the largest and most expensive assets you'll own. First off, our Real estate professionals are totally familiar with the communities in which they work and can be a great resource when it comes to what the real estate market is doing, as well as what's going on with the community and schools. Secondly, you ought to have your own representation in a purchase. Creating the agreement is the easy part. What happens if there are problems on the property inspection that requires more intense negotiations, or if they are concerns with financing requiring an extension of the closing date. There are many moving parts in a real estate purchase, and having somebody who represents only your interests is a must. Our staff puts our clients needs and interests first, and can be that advocate you need in a difficult purchase. Be sure to get in touch with us today and get connected with one of our local real estate team members. Listing information last updated on April 21st, 2019 at 10:53pm PDT.